Modern soap comes in all shapes and sizes. This post showcases our favorite examples of the most creative and unique soap designs. 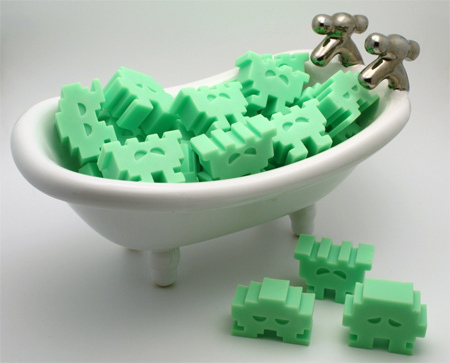 Cool soap inspired by the aliens from the classic Atari video game. 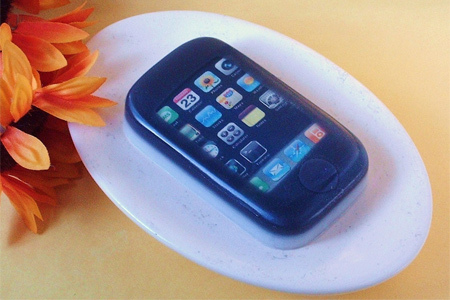 This unusual soap is roughly the same size as the actual iPhone. 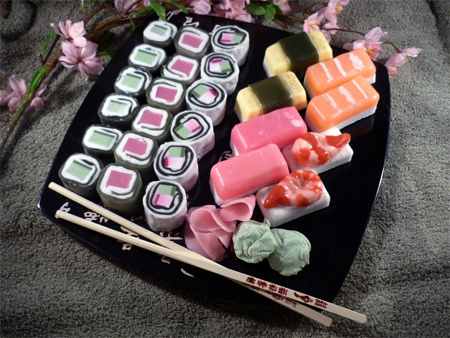 Soap set for sushi lovers comes with its own porcelain tray. 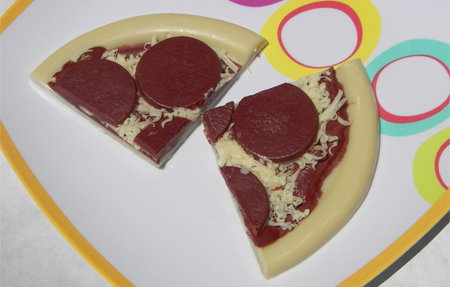 Delicious looking soap shaped like two Pepperoni pizza slices. 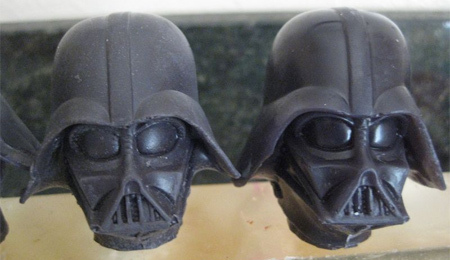 Star Wars themed soap will tempt you to join the dark side. 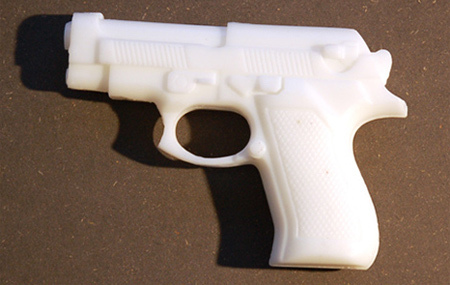 Soap shaped like a handgun designed by Andreas Kraeftner. Unique soap inspired by David Fincher’s classic movie Fight Club. Handmade cookie shaped soap looks just like the real thing. Aladdin’s magic lamp soap designed by Chloe Coulson. 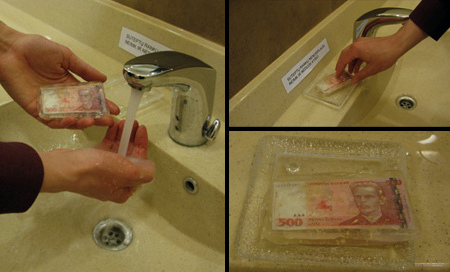 This clever soap was left in public restrooms to create awareness about corruption problems in Lithuania. 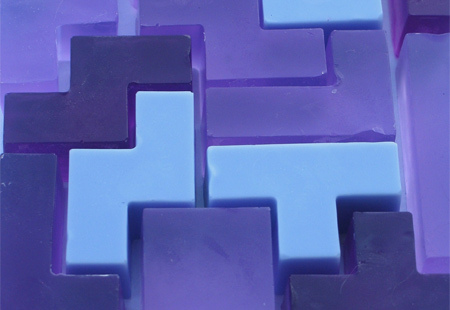 Creative soap set for the fans of the classic puzzle video game. the space invaders one is so cool! 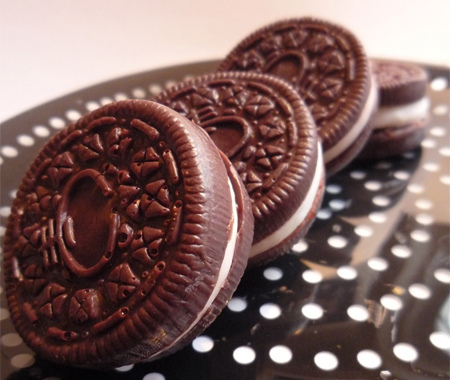 there really creative, i could see me and my friend tricking our sisters into eating an Oreo soap thin. ……so…anything that looks like an apple or Nintendo product is “Creative” or “Unique” ? The Fight Club soap is too light, it would’ve been perfect if it’s a brighter pink. But still very cool. I like the Aladdin lamp best. 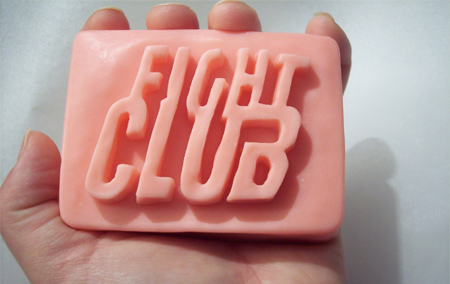 You do NOT talk about Fight Club….soap…. i personally LOVE that atari soap. so retro!